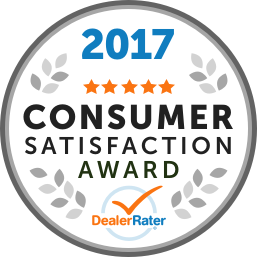 "Great Experience and an Awesome Car"
Had a fantastic experience with this dealership. They worked hard to put the deal together and put me in the car I wanted. Everything from first greeting to follow-up has been excellent! Would recommend this dealership to my family and friends. Plus La Quinta is beautiful (first time there) and seems like a nice place to spend a day (or weekend). The dealership lied to my 81 year old parents you are retired and live on a pension, about the deal and they miss their DR. Appointment, There was yelling and I tell everyone to avoid. They made us feel like we were ripping them off, if you can't give me the deal let me leave, I told my parents to leave, but they were tired and they are fake not there to help you. They gave us a deal and telled my parents they are losing money. I tell everyone to avoid. I was looking for a new car, having a number of different models and makes to check out. I was pleased beyond words with the treatment I received from Hyundai of La Quinta. The whole experience was so positive. I felt I was treated very honestly and fairly. I was so pleased with everyone and everything that I purchased a 2019 Santa Fe XL from them. I am so happy with this car. I know I made the right choice and am so thankful I gave them my business. I was a very pleasurable experience. I highly recommend them to anyone looking for a great car and dealership. I had the best experience purchasing my vehicle from here! The whole staff was very friendly and I highly recommend! I did a lot of research and they gave me the best deal around! I just bought a used car from their team and it was a great experience and process. They were very fair with the pricing and honest without trying to add a bunch of pointless fees. They were precise and fair without pressuring while explaining everything in detail and happily answering all of my questions. They even stayed hours late to get the deal done! "Great people to deal with "
We were looking for a good used vehicle to leave in California. The folks at Hyundai of LaQuinta were a pleasure to deal with. I will recommend them to anyone looking to purchase a vehicle. Thank you very much for choosing Hyundai Of La Quinta ! Have a great day ! I went in and told Ricardo & Cole what I wanted in a car deal and got it! I knew I wanted the Kona and they made it happen! I'm saving money compared to my other vehicle payment, on gas and other operational costs. Perfect! We thank you for your business and choosing Hyundai Of la quinta. Have a great day ! I had a great experience at hyundai of la quinta, Martin was attending me and my mom beautifully he was very patient and informative! I left home with my first car very pleased with everything. "Professional, friendly, focused on the client." David Jones, & whole staff- Every one were very helpful!